When Julie Slater was 15, her Mom took her aside and asked if she should be worried about her daughter's rather major obsession with Tom Petty. And she should have been worried. Cuz it only got worse with age. And with all sorts of bands. 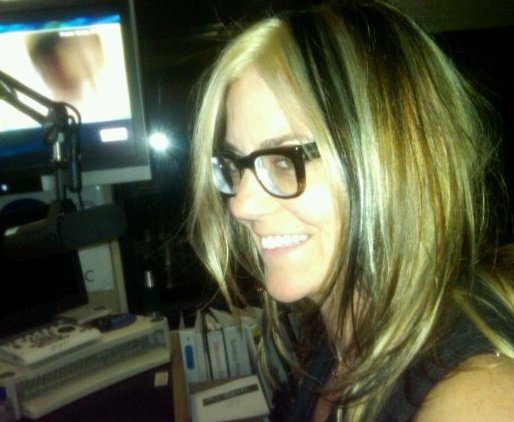 DJing was the perfect fix – she was the Midday rock chick at Krock-NYC following Howard Stern for over nine years & hosted Afternoon Drive at 100.3 The Sound in Los Angeles for nearly eight years. But there's still music inside her brain that needs to come out. Hence the birthing of: OUT ON A LIMB !!! We'll take in some New Indie Music, get a LOCAL ANESTHETIC shot in the arm (ahhh) from a local Los Angeles band and check out the latest, greatest, bearded band with BEARD OF THE DAY. Love it, love it! Finally sat down to hear you and, of course, you were fabulous! Also really love the design of the website, colors and all! Best wishes for major success and fame! !